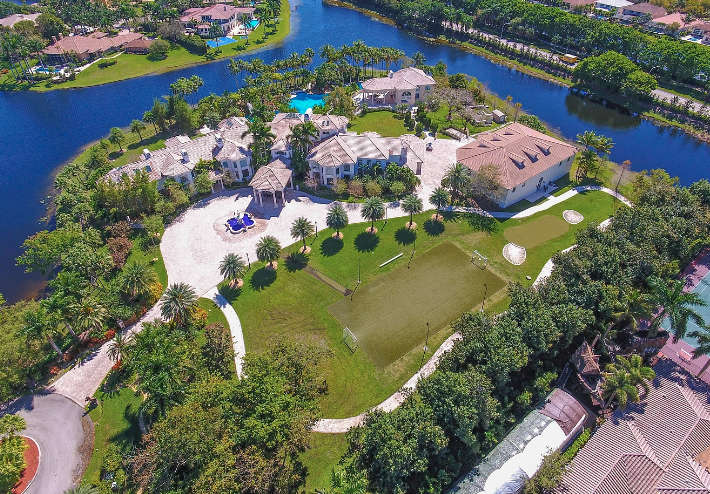 This 5 acre estate is located at 3410 Stallion Lane in the Windmill Ranch Estates community in Weston, Florida. 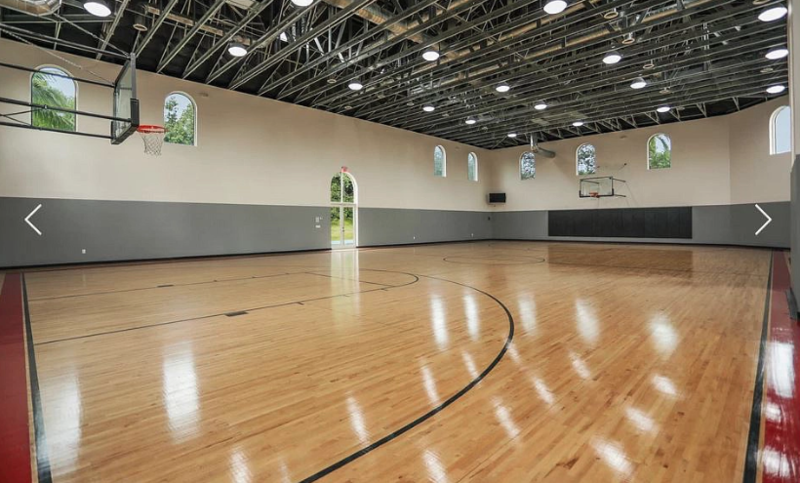 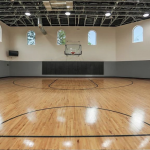 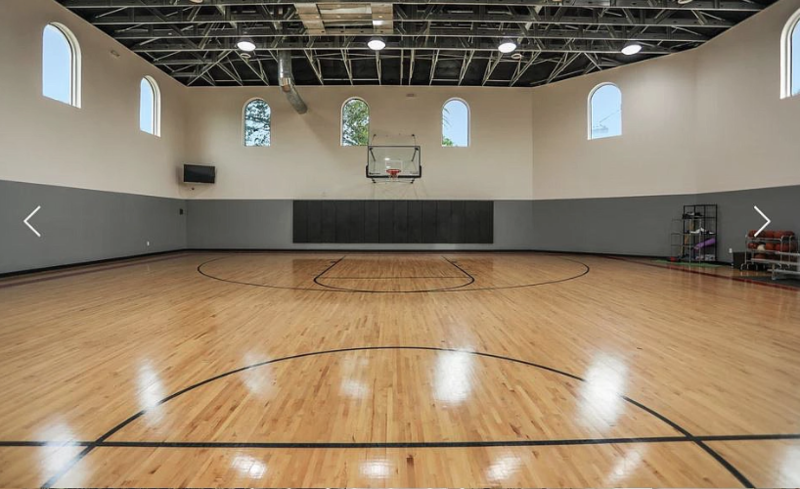 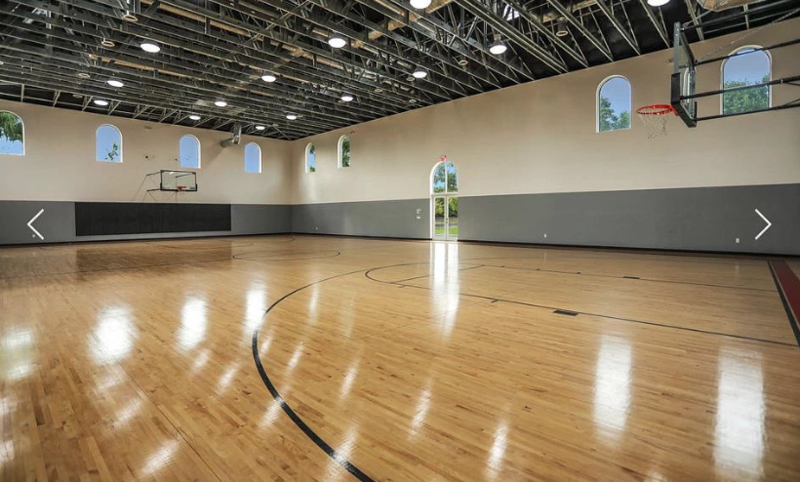 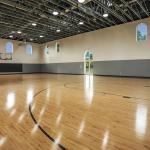 It boasts a main house, pool house and rec building with indoor basketball court. 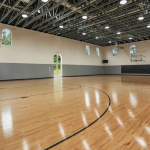 There is a total of over 30,000 square feet of living space. 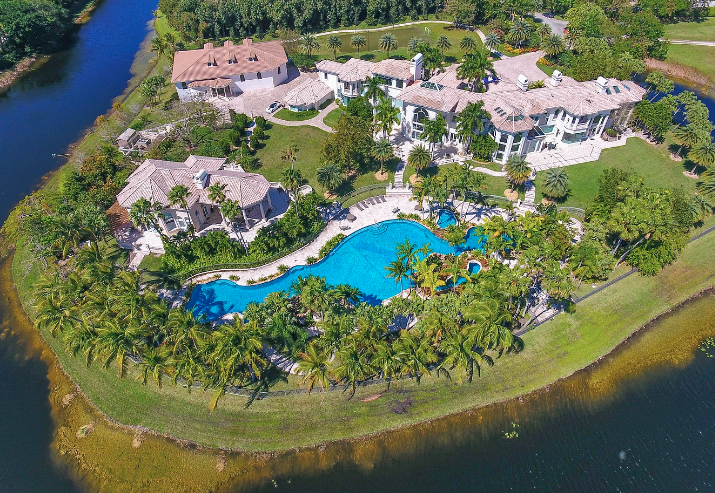 The main house features 14 bedrooms, 17 bathrooms, 2 staircases, elevator, 2-story great room, formal dining room, gourmet kitchen, 2-story family room, indoor pool, garage and more. 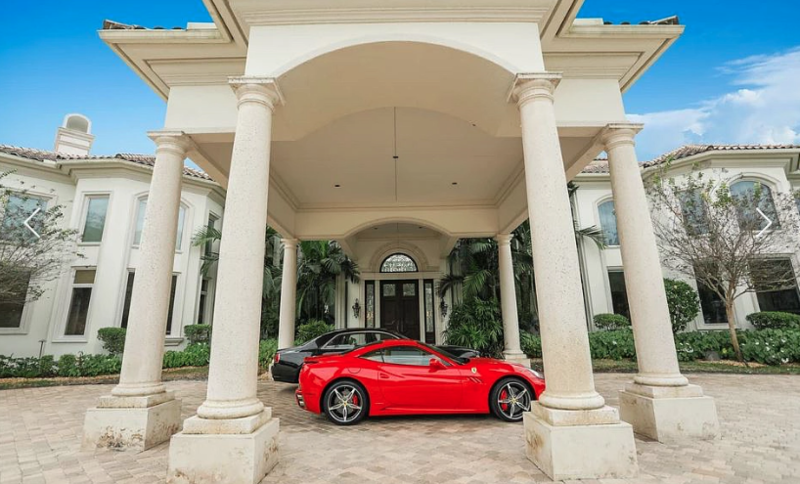 Outdoor features include a gated entrance, motor court with fountain, porte-cochere, patios, massive swimming pool, soccer field and a putting green. 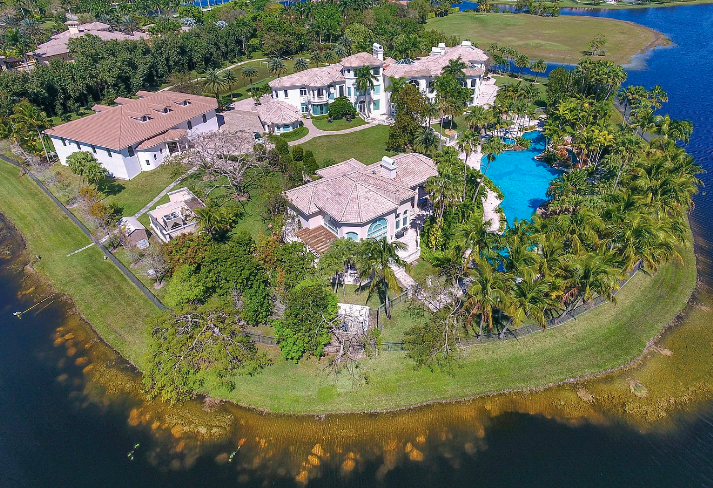 It is listed at $11,500,000.